The Newest Rant: A Batman and James Bond Cross-Over Comic Would Be Cool--and is Easily Possible! A Batman and James Bond Cross-Over Comic Would Be Cool--and is Easily Possible! This evening I was in the place where many of my best ideas strike--the shower--and had a real doozy occur to me. We've seen multiple cross-over comics between the Justice League and other properties, and Batman in particular seems to lately be hanging with all kinds of characters from other publishers (he can currently be seen kicking-it with the Teenage Mutant Ninja Turtles). 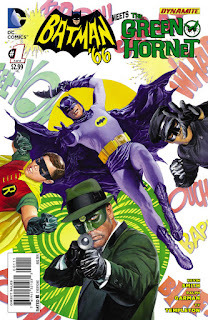 Therefore, why not have Batman fight against or team-up with someone else who knows a lot about fancy gadgets and getting out of dangerous situations? Yes, I'm talking about James Bond. This idea sounds weird but it also works so perfectly (and would of course be out-of-continuity as most inter-company events are) because Batman and James Bond are as alike as they are different. Both men are smart, know how to lead secret lives, and can be charming when needed, but whereas Bond loves to womanize Batman lives a mostly chaste life (occasional hook-up with Catwoman aside), and while Bond loves the finer things in life Bruce Wayne simply uses his fortune as a means to fight crime as his night-time persona; oh, and don't even get me started on all the drama that would come about from how Batman refuses to kill and James Bond has a license to do just that. A comic where for some reason Batman and Bond face-off and then team-up would just be awesome and please the fanboy in me immensely--and it isn't even a big pipe-dream! Why is it relatively possible to see Batman and James Bond team-up? Let me break it down: DC (obviously) owns Batman. Currently the publisher Dynamite has been putting out James Bond comics with other titles involving Bond and his foes on due to come out soon as well. 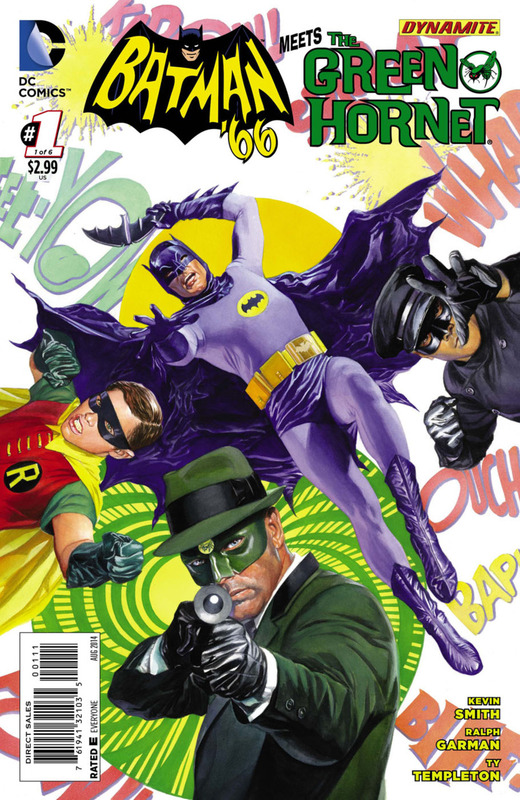 DC and Dynamite have teamed-up repeatedly in the past with one occasion even being a different Batman cross-over--"Batman 66'," met-up with the Green Hornet who has had his comics published with Dynamite! Heck, DC has an upcoming book about Wonder Woman and the Bionic Woman teaming-up that is again being published in collaboration with Dynamite. I imagine Dynamite would have to get permission from Ian Fleming's estate and such for such an idea as this to proceed, and who knows what writer and artist would be chosen, etc. etc. but I can hope. I want to give a shout-out to my shower for this great idea and if I see such a comic happen I'll be very pleased!